I live in an urban neighborhood but have noticed a few red-tailed hawks around, either gliding gracefully spying prey or perched watching pedestrians. These birds of prey can be found throughout North America. 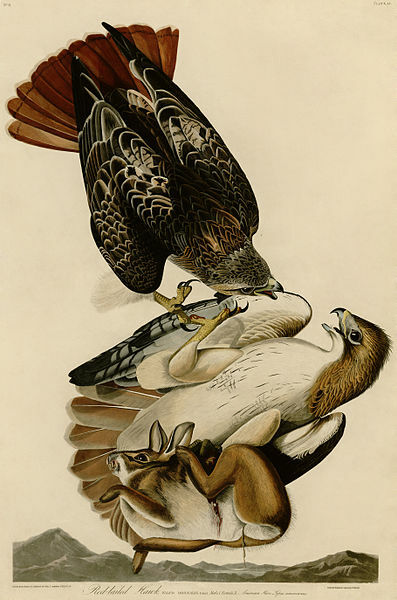 Audubon depicted this animal as strong and aggressive showing two fighting over a freshly killed rabbit. 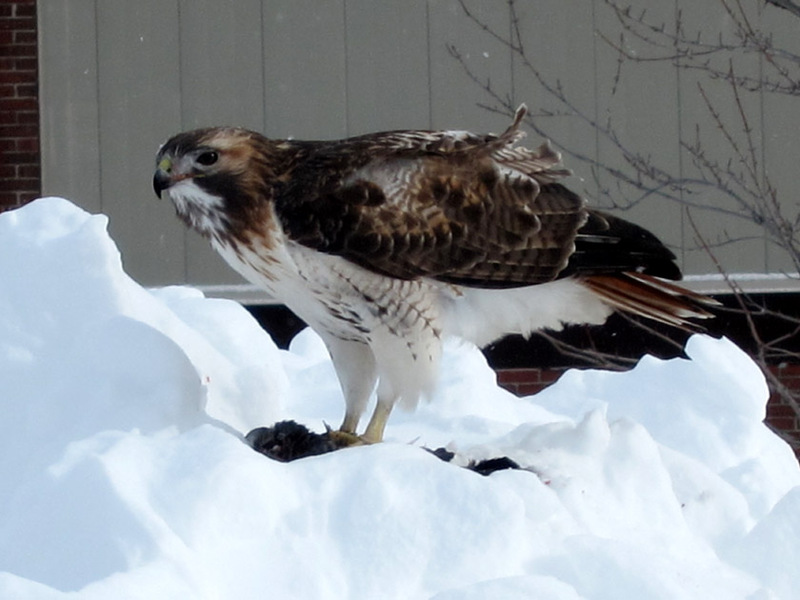 Walking around this weekend to admire the snow, I saw one of the neighborhood hawks catch and eat a pigeon! It was an unexpected but beautiful example of nature in an otherwise urban area. I watched the hawk for some time and found that Audubon didn’t come close to capturing the subtle coloring or fluffy under-feathers of this gorgeous bird. 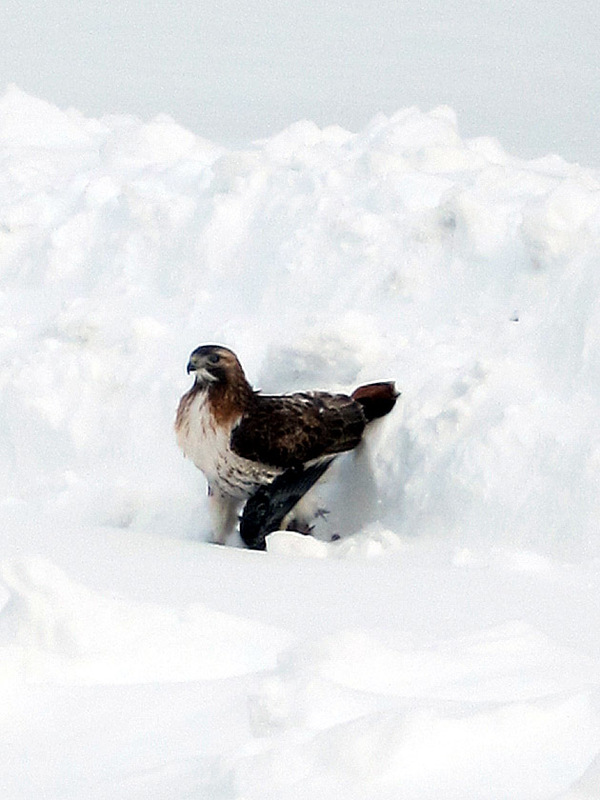 The hawk seemed to drop out of the sky into the snow with a pigeon in its claws. He held the other bird down for a few minutes and then flew off. 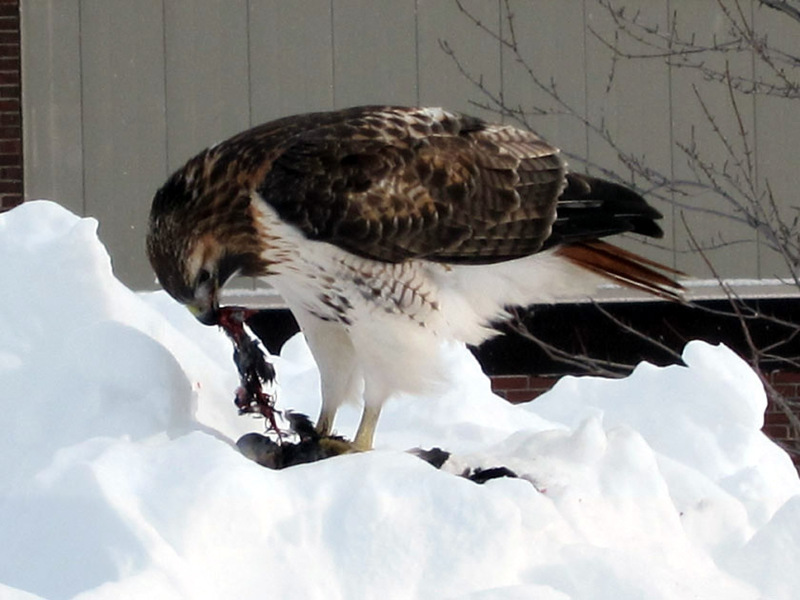 Here is the hawk feasting! 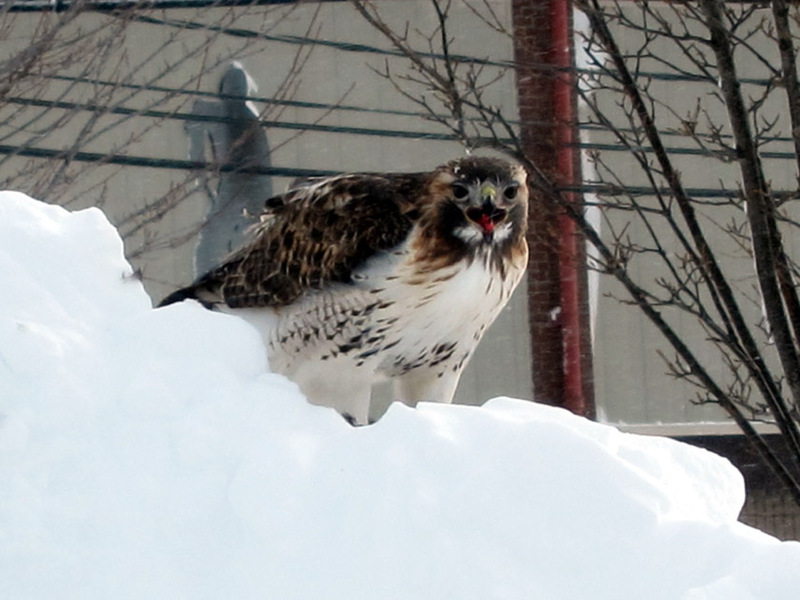 Eventually the hawk watched as I walked away. ← Spring Break 2013 in a Museum? What a great photo – great catch!